Dots are in all wardrobes. All shapes and colors are trendy, but Textura Pola shines itself with its orange raised contrasting with a soft turquoise. 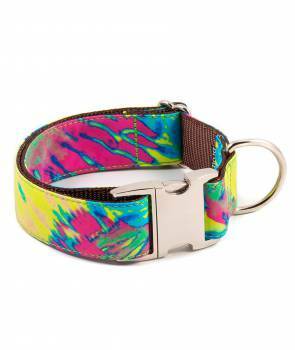 Your dog will be stunning with this pattern! Pure art that expresses itself in bright colors and contrasted with electric blue and intense green. 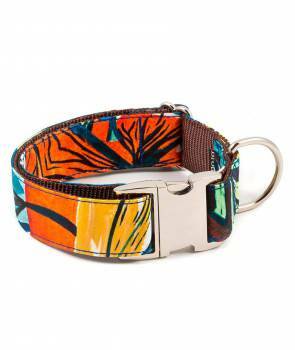 This is the Textura Portlligat, the most tropical style for this summer! Elegant and at the same time daring, this is the new Texture Sacaleta. Their abstract forms are incredible and their colors breathe pure summer. There will be no dog that will resist it! The 70s are coming back. And the psychedelia of Textura Montjoi is awesome! You will hallucinate with its fluor tones, a trend that has more than two seasons on fashion catwalks. Each spring the flowers come back, but these have changed their shape. 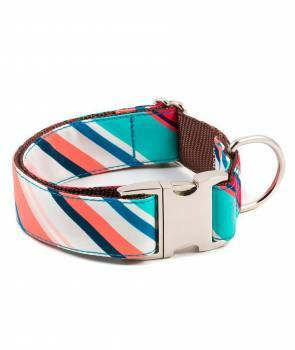 With classic and cheerful airs, Belladonna Textura is going to be a clear must-have for you and your dog! Close your eyes and feel the sea breeze. It will remind you this pattern. Soft and delicate, with spring colors. Textura Liris is simply irresistible! Stamped with multi-color tones and infinite geometric shapes describe the new Escranc Textura. 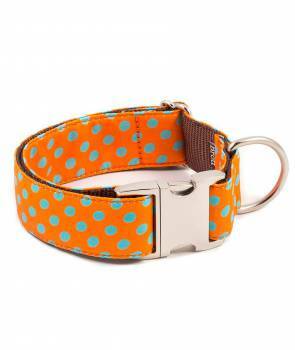 Full of vitality and wild airs that surely will not go unnoticed on your doggy! Have you seen such a great giant houndstooth? 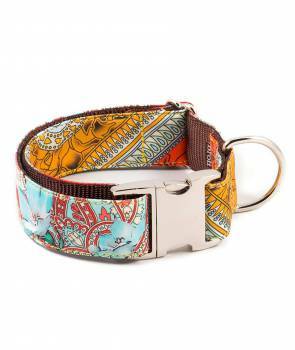 It is vibrant, colorful, and you, with your dog, can walk together like no one in the streets of the city. The 70s are very present this season, and you will not be able to resist the joy that comes from the Textura Torms. Stripes and more stripes! The street style of the fashion weeks became a parade of lines. And your dog can also walk through the streets of the city with this print, in the pantone color of this 2018 that is in all the garments, lavender! Floral print power! Flowers are everywhere and they will give joy to your walks. The martingale collar Textura Fuliola gives off life and color with its mustard color and its contrast with blossoms of blue, two colors top of this season. Textura Tiana is full of tropical flowers combined with an intense marine blue, because this winter takes the color and flowers to tell that there are not only the classic colors of the season. Who does not want to walk with these happy colors?